Sample Borders Abbeys Way on a short self-guided walking holiday: the perfect weekend getaway. Accommodation, luggage transfer and custom holiday pack included. 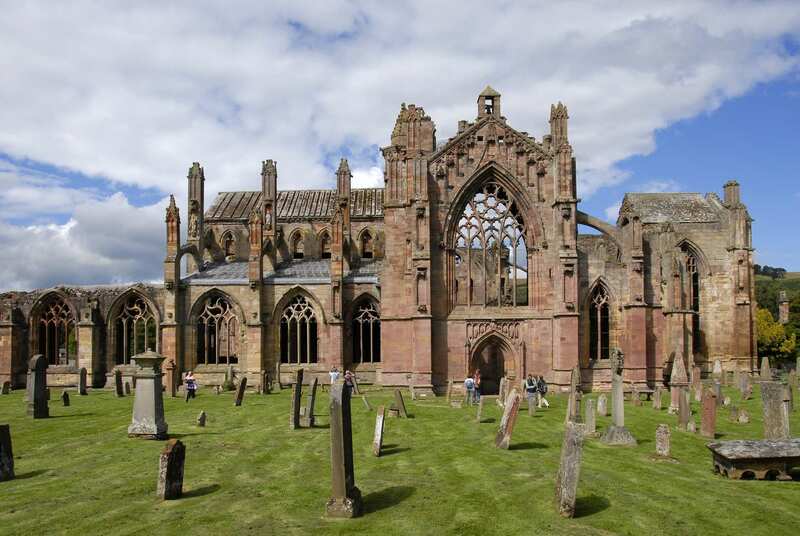 A walking holiday visiting the very best of the Borders Abbeys Way, from Melrose to Jedburgh. 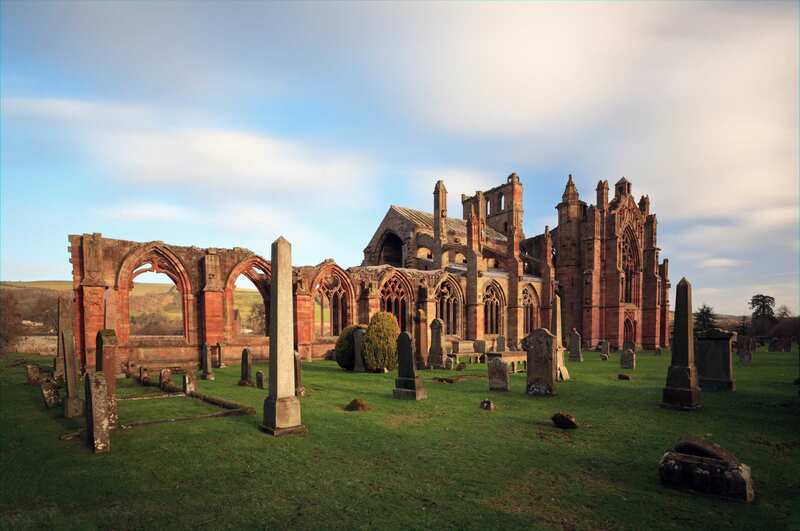 Ideal for those without the time to complete the full Borders Abbeys Way trail, the Highlights option visits all four of the route’s great abbeys and cuts off the mix of river walking and open terrain from Jedburgh to Melrose through Selkirk. There are still plenty of riverside paths to enjoy during this short break, alongside rambles through woodland and along the Roman road of Dere Street as it climbs to the break’s conclusion in Jedburgh. The abbey’s cloisters and herb gardens here form a very pretty and unusually fragrant end to this engaging walking holiday. Visiting the four great Borders Abbeys of Melrose, Dryburgh, Kelso and Jedburgh. Walking through the tranquil countryside, woodland and riverside scenery of the Scottish Borders. 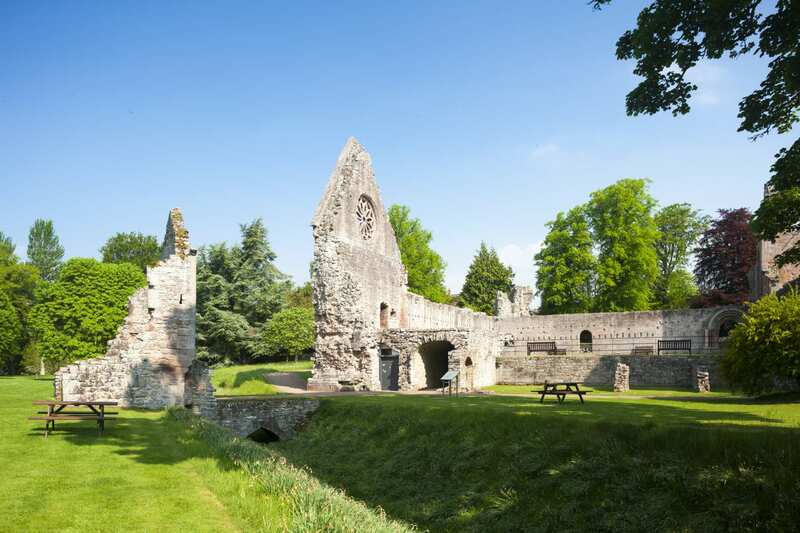 Relaxing in the romantic setting of Dryburgh Abbey, the perfect place for a picnic on the bank of the River Tweed. Melrose is the loveliest of all the Borders towns. It is a charming mix of delightful little shops, narrow streets, Georgian and Victorian facades and a wonderful place for an extra night. Kelso is a picturesque little town with cobbled streets leading into a wide market square bounded by elegant three-storey townhouses and shops. 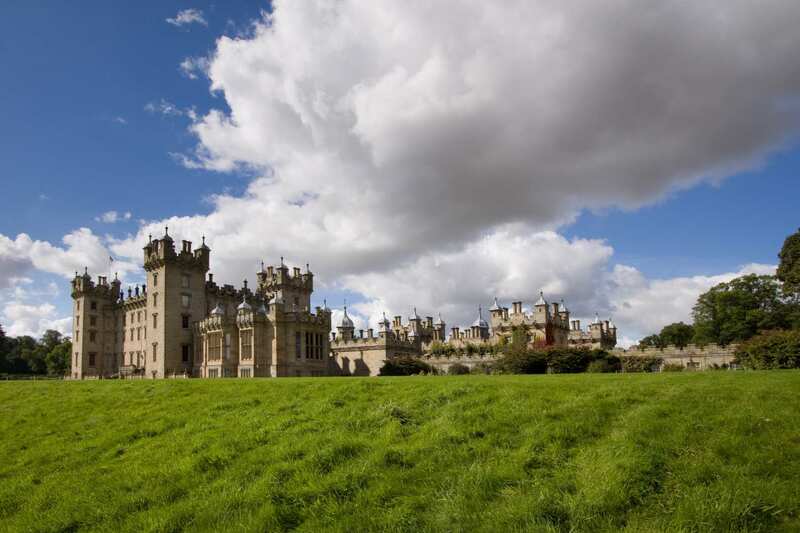 Floors Castle, the vast ancestral home of the Duke of Roxburghe is about a twenty-minute walk from the town. 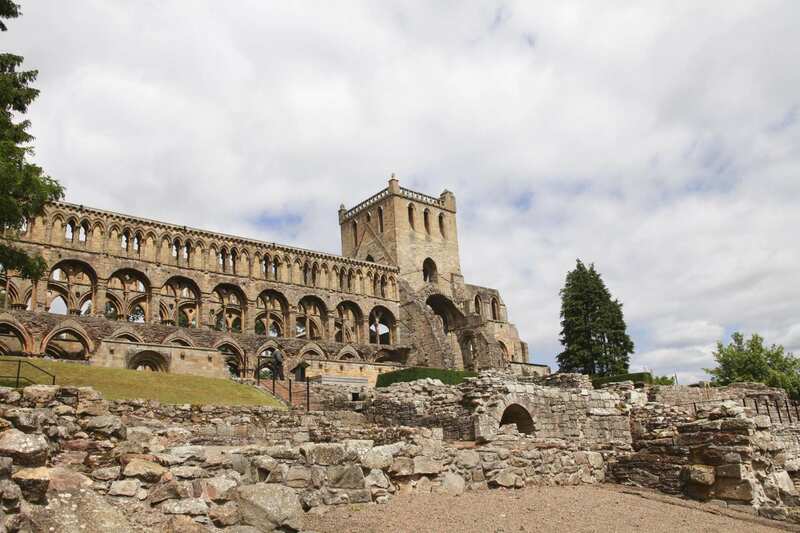 If you would like to spend an extra day exploring the sites of historic interest, Jedburgh is an attractive town with sites ranging from its magnificent abbey to Jedburgh Castle Jail and Mary Queen of Scots' House. By Air - The most convenient major city and international airports are Edinburgh, Newcastle and Glasgow Prestwick. By Rail - The nearest rail station to the start of the trail (Melrose) is at Tweedbank (about 2.5 miles away). The nearest rail stations to the end of the trail (Jedburgh) are either Tweedbank (about 15 miles away) or Berwick-Upon-Tweed (about 35 miles away). By Bus - Various bus services run to Melrose and from Jedburgh. Return To The Start - The easiest way to return to the start of the trail, is to take the bus from Jedburgh to Melrose.